I recently helped a group that threw a party while "Cruising Lake Michigan" for the Olympic Opening Ceremony. A month later they were "Cruising Lake Michigan" with a Luau theme and contacted me for new printables. I sent Gina a link to my stock Luau designs and here is the collection she picked for her cruise. 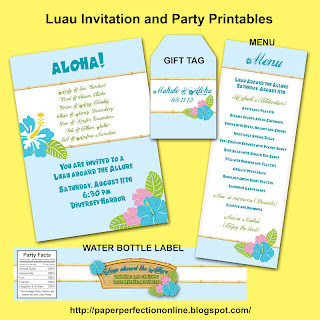 If you would like to throw a luau or need custom party printables contact Paper Perfection at jtanddolly@yahoo.com for pricing and details. 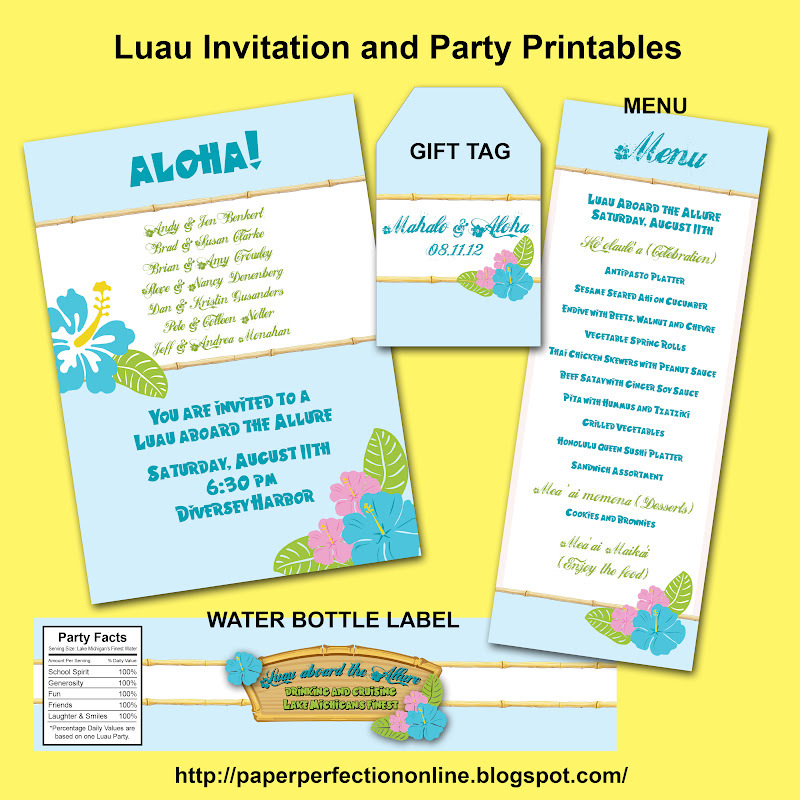 Click here to see additional luau invitations.